With the world economy going down the drain, many people out there are losing their livelihood; but Arianna Huffington believes the way out of this slum is to start blogging. You could even get to win a prestigious Pulitzer Prize now that the admission requirements have been expanded. In related news, it seems that online criminals are taking advantage of the economical downturn and take advantage of people looking for an online job. If the name Arianna Huffington rings a bell, perhaps you are familiar with the Huffington Post, or you are an Arnold Schwarzenegger fan that did not approve of Arianna Huffington’s campaign against the “Guvernator”. According to her, people set up about 50,000 new blogs on a daily basis. The trick to having a successful and potentially lucrative blog (remember the economical crisis and all the job cuts) is to write from the heart, write with passion and without over thinking things too much, she said during a “The Daily Show” interview with Jon Stewart. If you would like to get more insight into blogging, a video of the interview is available here. The Pulitzer Prizes commission has recently issued a press release stating that in the future even online publications could win the prestigious award. There are 14 different prize categories, and all of them will accept content published online – as long as they obey to the highest journalistic principles and are from the United States. Criminals are also taking this online business serious. People that want to get a job online, are lured with spam messages advertising lucrative online jobs. If you decide to go along with it, you will be asked to set up an account; that account will be credited and you will be asked to forward the funds to specific destinations (mainly in Eastern Europe). Congratulations, you have become a “mule”, a pawn in some online criminal’s scheme to launder money. Moving on to happier news, WordPress has released v. 2.7 RC (release candidate) at the beginning of the month and is now closely approaching the moment when it will release WordPress 2.7 Final. There are so many changes in the software that they might as well have called it version 3.0. 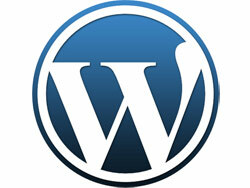 Update: WordPress 2.7 is here and it is brilliant.